The coldest air of the season is building up in northern Canada and will dive south into the continental United States by late next week. 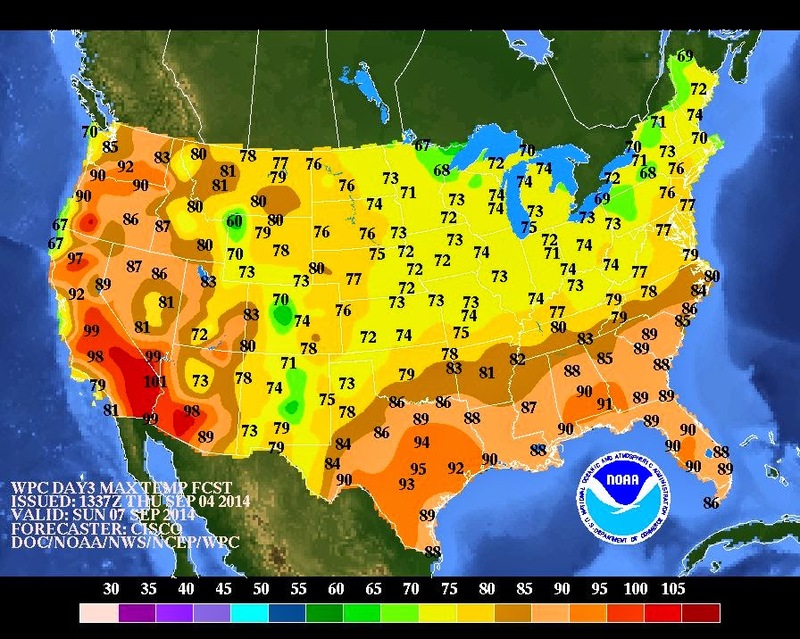 The jet stream will pinch out a trough in the midsection of the country and allow for the ushering of much cooler air. Temperatures will run 10-20 degrees cooler than average. The map on the left shows the likelihood of below normal temperatures, notice the substantial area of dark blues encompassing the northern Great Plains. This weather will likely bring the first 30s in northern Minnesota and a couple snow flakes cannot be ruled out, as 850mb temperatures dip below 0C. The map on the bottom shows the expanse of the cold, with the 0C line dipping excessively south. Just to give a snapshot of what some of the models are outputting...here is the latest EURO model run for minimum temperatures next Friday night and Saturday morning. Showing widespread lows in the 20s! 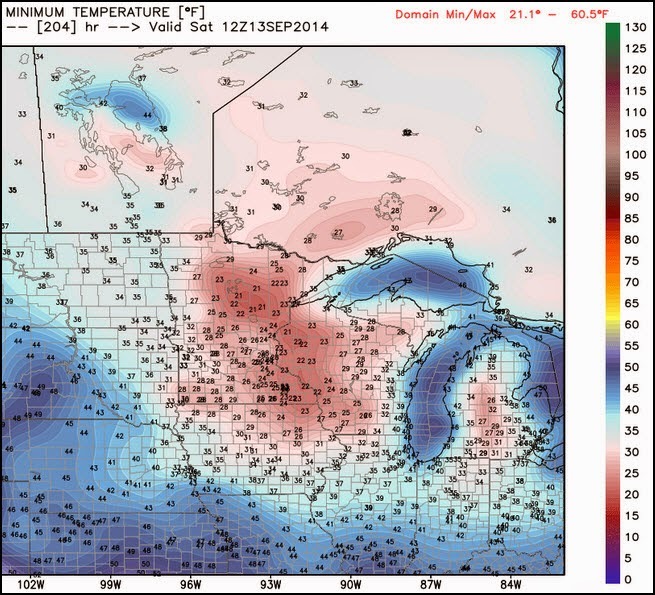 While this scenario is extremely unlikely, record low temperatures may be within reach. The GFS is outputting similar, yet more conservative numbers. One rule of thumb this summer is that the EURO does tend to go cold a week out, it will be interesting to watch the cold unfold in the models throughout the next several days. After record high temperatures across the Midwest the past few days, this weekend will begin to serve as relief for most areas. By Sunday we return to near average highs and stay around average until late next week when the reinforcing shot of cold air comes in! Happy Fall.